Batman: Arkham Origins Full Video Game Trailer Released. Batman will face off against Deathstroke, Deadshot, and the Black Mask. WB Games has released the full video game trailer for Batman: Arkham Origins, the highly anticipated prequel to 2011’s Batman: Arkham City and 2009’s Batman: Arkham Asylum. The story takes place before the rise of Gotham City’s most dangerous villains and assassins, the game showcases a young, raw, unrefined Batman as he faces a defining moment in his early career as a crime fighter that sets his path to becoming the Dark Knight. As the story unfolds, witness identities being formed and key relationships being forged. You’ve experienced the terror and mayhem of Batman: Arkham Asylum. You’ve battled Gotham’s most sinister, lethal and forbidding villains in Batman: Arkham City. You’ve studied the psyche of the Dark Knight and immersed yourself in his quest to protect Gotham that you became the Caped Crusader every time you played the game. But there’s one facet of Batman that you haven’t yet experienced. One area that has remained in shadow — his past. For the first time, you get to dive into the role of Batman before he battled and won against the laundry list of Gotham’s most dangerous criminals in Batman: Arkham Origins. 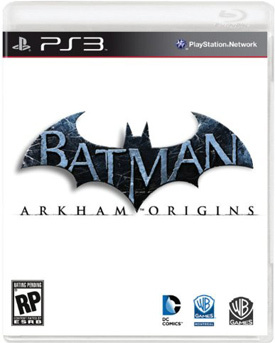 Experience an original prequel storyline set before the events in Arkham Asylum and Arkham City. Watch the story unfold as Batman transforms from a crime fighter into the Dark Knight. Become a young and unrefined Batman as he faces a defining moment in his early career that determines his fate and leads him to meet many important characters for the first time and forge key relationships that shape his destiny. For what’s a man without his past? It’s time to finally receive insight about the events that transformed the man into the hero.